Seaport Dental Associates is your comprehensive dental practice, offering services and treatments that restore and enhance your natural smile. We use state of the art equipment, techniques and systems to ensure your dental health is properly maintained. 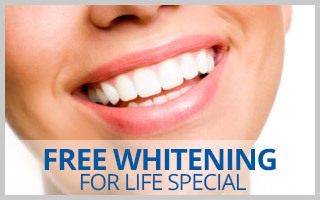 Our dental staff will work closely with you to achieve a long lasting beautiful smile you deserve. It is our goal to provide all our patients with the highest level of dental care. Your treatment will be openly explained and discussed to ensure that you are informed and involved with every aspect of your dental care. We provide comprehensive treatment planning that is personalized to meet the specific needs of each patient. We will work with you to avoid emergencies; however, rest assured that should an emergency occur we will make sure you are seen in a timely fashion. At Seaport Dental we believe that preventative care is the best way of maintaining optimal dental health. We recommend routine preventive dental care visits which include a comprehensive cleaning and oral examination. At this visit we will screen for decay, gum disease, periodontal disease, oral cancer, TMJ, and problems with your bite. In addition, during our routine visits we will provide you with the education necessary for you to continue your good oral hygiene practices at home. Preventive dental care can help maintain a beautiful, healthy smile by safeguarding against oral diseases. Protecting our patients is highly important to our practice. To protect patients we meet and exceed the high level of infection control standards required by the Centers for Disease Control, American Dental Association and the Occupational Safety and Health Administration. We are happy to answer any questions regarding our sterilization practices, and a tour sterilization area is available to patients upon request. In order to provide our patients with the best dental care available, we have committed to education and training. We belong to various dental associations and attend numerous dental conventions, workshops, education lectures and meetings to stay abreast of the cutting edge technologies and techniques we use to provide you the highest level of service, resulting in a healthy smile. We look forward to providing you will exceptional dental care and a radiant smile.